The guys stick to their Rock and Roll roots and add a raw element, combining their love and passion for the Blues and Classic Rock. 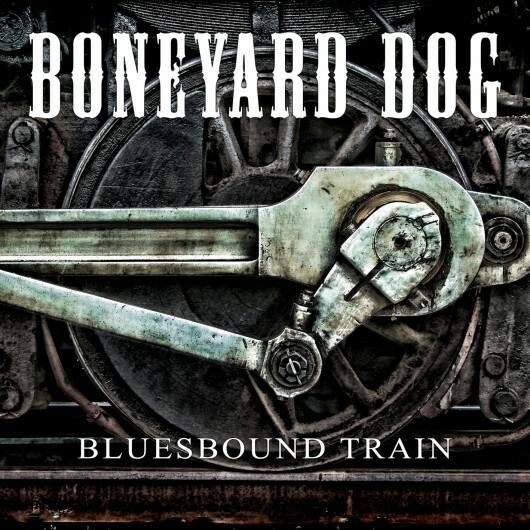 A band based around the core duo of Irish Blues guitarist Davy Kerrigan and German/Italian singer Rob Mancini, Boneyard Dog emerged on the scene only last year* and seem to be intent on making an immediate mark. Adding the well-travelled drummer Ron Wikso to the line-up in early 2016, there is also a guest appearance (which turned into a full album contribution) from Tony Carey, a keyboard name who might not be legendary but who is instantly recognisable. AORHeaven is quite an apt release label as the guys stick to their Rock and Roll roots and add a raw element, combining their love and passion for the Blues and Classic Rock. Recorded between Austin, Texas and Donegal, with Mancini taking care of production, mixing and mastering, it's a full-on outpouring of edgy melodic guitar Rock. Setting the stall out early doors, a barrelhouse piano roll and some Blues guitar noodling evolves into a melodic tease and 'Mother Lode' is where the entire band kick in full pelt. The impact of Carey's Hammond is obvious but not intrusive, and one which continues to embellish the song-writing and arrangements of the Dog core duo. 'Kingdom Of Your Company' is notable for its dramatic feel, which becomes a common thread through the first half of the album. The Dog head more in the way of the standard Metal direction on 'Lay Down The Law' whereas 'Hell And Back' ticks the box marked "slow burning ballad" – the lighters held aloft moment in a gig (or more likely mobile phone light in current climes). The pace slackens to the point where the title track closes the album in a more atmospheric Lounge-Jazz-Blues fashion, lingering a little for once in the tale of woe, and may have fitted better as a mid-album breathing point. However, there's a heart-warming lack of indulgence and endless soloing which can often be the curse of the Blues player. Where they come in, they remain tasteful and in keeping with the harmonious nature of the songs and the vocals. 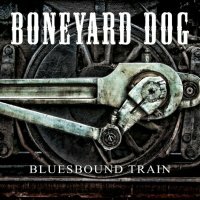 Rough edged without being too throaty or harsh, Mancini delivers the vocal goods in a subtle and low key way, again without dominating the songs, and taking his role as producer to push his voice to the front to give 'Bluesbound Train' a familiar but homely feel.